$63,015 is my current play chip balance at FTP. I am still awaiting their transfer back to me of my real cash balance with them since “BlackFriday“. But that is another story. I am still allowed to play poker at FTP, but by using play chips that are free. I am also allowed to use the FTP phone app to play at the Rush Poker Tables. So when I am on the road and unable to play online at the remaining US friendly sites, I can use my SmartPhone. The game that I play the most is Omaha 8, which means that the high hand and the low hand might both share the pot. Even though this is for play chips, I am still playing as though the chips were real money. FTP allows me a starting chip count of 1,000 which I can reload up to the 1,000 as often as I need to. Thus far, I have been able to build up my play chips from 1,000 to 63,015. Could I do as well with real money. Probably not. I am not really sure. Losing a thousand with play chips might not bother me psychologically as real cash might. It might be harder to play if you fear losing real cash versus play chips. With the current state of online poker and the fact that the DOJ might close down any of the remaining sites that I play on, keeps me from wanting to deposit or have on hand more than $250 at any one site. A $250 bankroll on a site allows me to safely play .02/.05 to .05/.10 games. Thus trying to win thousands that I might not ever be able to withdraw or have at this time seems a little silly to me. Are you playing online poker? Do you use the play money option? 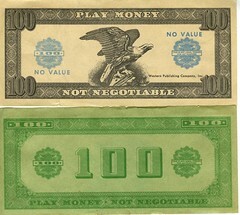 If yes, do you treat play money the same as real? No surprise if you are an online poker player, but our options of playing online have effectively been taken away from us. The UIGEA law enacted in 2006 made it illegal for banks and financial institutions to transfer funds to and from online Poker sites. On April 15, 2011, the DOJ used that law and stopped all online play by US players from occurring on two or three of the major US facing online poker sites. This event was named “Black Friday”. US players were no longer allowed to play for cash on either PokerStars or FullTiltPoker. These sites were charged with fraud and money laundering. These charges are basically true because credit card companies and banks were restricting the transferring of money to and from poker sites. So the sites got creative and coded the transactions so that it appeared that the product or service being purchased was not “poker”. As in all creative accounting ventures, they eventually got caught. Well, actually the person who taught these companies how to process the money ended up as a government witness against them, or so the story goes. The DOJ has made it hard and even next to impossible to withdraw our funds from these sites. It may take several weeks or even months before US players can even request their funds. In all likelyhood, it will probably be two or more years before we will be able to play on an online poker site for cash legally. Yes, I know that Carbon Poker, Cake Poker skins and others online are available., but we still have the same problem of legally depositing and/or withdrawing our funds. We know that the DOJ will be watching and going after the next largest violator of the law. In reality none of the offshore sites will be truly safe for US players until there is legalized online poker in the US, regulated by either the State or Federal government. So in the meantime we need to contact our local and national government officials and let them know what we want to see happen to online poker in the US. This is not an easy task but we must all do our part. Bickering and complaining about won’t help. Even organizations like the Poker Players Alliance needs to step up their efforts and work for us in an effective manner. They should be thinking about more than just public relation efforts to support our cause. I still have funds on Bodog, Carbon Poker, DoylesRoom, PokerHost and TruePoker. I will play on those sites and I will withdraw whenever I have $250 in profits. I may take a shot at playing larger tourneys or higher level cash games if the games look beatable. I will certainly start withdrawing any winnings on these sites before they are also locked out to us. But I will certainly try to keep my risk of loss as low as possible in any case. 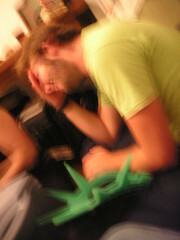 The next few years won’t be easy and they will not be as fun as they were prior to April 15, 2011. I will not be making anymore deposits until online poker is legal in the US. This is getting easy because there are practically no deposit options left that I can use. There were online payment processing companies that allowed you to either deposit by credit card or bank transfers from your banks. Then you could transfer the money to the poker sites. Most of these companies have had their funds seized. This was very similar to what happened with NetTeller a few years ago. But at least with NetTeller, I was able to get my money back after about a year wait. This time, I lost all that I had on account with the two payment processor that I was using. One of them offered to wire transfer my money to me but were going to charge me a $50 processing fee which was more than I had on the account. I will probably visit my local New Hampshire poker rooms three days a week or more. What are your future poker plans since “Black Friday”? Where do you go from here? I am currently on a new poker quest. It may sound the same as some of my prior goals, but this one is a little different. I am trying to play online based on my bankroll at the sites I am playing. Ideally, I should have a bankroll on a poker site with equivalent to 100 buy-ins. If I am playing .02/.05 No Limit games with a buy-in of $5.00, my bankroll should be $500.00. 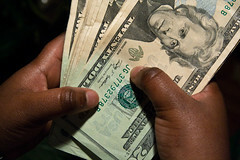 But I am unwilling at this time to deposit more funds at the sites as I have been losing. So I will go with what I have left and try to grow those funds organically, meaning I need to win more than I lose. I am also mixing it up in that I am playing in step tourneys hoping to advance to a higher step and use that step’s ticket to play a tourney that would give me a change to win to increase my bankroll by winning. In the past, I have had more than a couple of poker friends suggest that I was playing too high a game for my bankroll and it turned out they were right. Sometimes it takes a sharp whack on the back of the head to understand I guess. Currently I am playing mostly on Full Tilt Poker, an affiliate, but that is because they offer a Mobile Poker app that I can use to play Rush Poker on my Droid smartphone. I will try to keep you update with the interesting things that happen along the way. And thank you for your suggestions and comments. You have really helped me out. … follow-up to "I am a losing poker player!" post! As I mentioned in my last post, I have finally decided that I am not having a run of bad luck which is causing me to lose at playing poker. It is how I play that causes me to lose. It is when I fail to extract extra value for my good hands. It is when I fail to fold hands even when the evidence is in that the hand is in trouble. It is when I go on tilt and bluff away my stack. There are a lot of leaks in my game that need to be plugged. My last twenty four sessions on Absolute Poker playing No Limit .10/.25 has seen me winning enough to be in the black so far for April. In fact, if I just look at the last 24 sessions alone, I have won over $63 or almost $2.75 per session. I realize that is not a lot but it does mean that I am moving in the right direction. Now, looking at my spreadsheets, I see that I have had some good runs in the past and then went down hill from there, so I will not get too over confident that I am now the improved player of the year. What this does mean is that my bankroll on Absolute is growing to the point where I will be able to move up to the next level, .25/.50 and see if my success continues. What am I doing different? 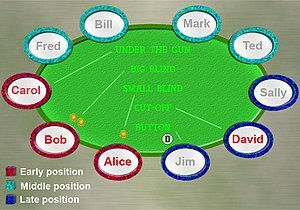 I play with the idea of winning small pots, I watch my position versus the big and small blind, I keep track of the other player’s tendencies, I try to mix up my play so that I am not easy to read. I try to pick off the bluffs that in the past caused to fold winning hands. I still need to learn to back off when I am re-raised and I don’t have the best hand. How do you adjust from being a losing player to a break-even player and finally to a winning player? The evidence is in – I am a losing poker player! This does not come as any surprise to me as I am making re-deposits to my online sites each year when I finally run my balance with a site down to $10.00 or less. There is only one site in the last three years that I actually have more than what I started with and I don’t play there very often. I have always had aspirations that I would one day be a great poker player and would make a living at it. Based on my earnings so far, I could be losing that weight I have been meaning to take off, because I would not be earning enough to buy food with. I love the game, I love the action, I love the books, videos and poker shows. So I will probably end up being a recreational poker player. I will probably play a few tournaments a year and I will probably continue to blog about my successes and my failures. Now this could change if I have three or more winning years in a row. But I am not holding my breath until I do. I am blue enough already. I will still read new books about poker and will share my thoughts about them. In fact, I have just received two books courtesy of Robbie Vorhaus, written by his cousin John Vorhaus. One is a book of poker fiction, titled “Under the Gun” and the other is a poker book titled “Killer Poker Online 2 – Advanced Strategies for Crushing the Internet Game”. Both of these books look like a great read and I can’t wait to get started reading them. Do you know what type of a poker player you are? Are you a recreational player? An amateur? Semi Pro? Pro? Does knowing what type of player help your expectations when you play?